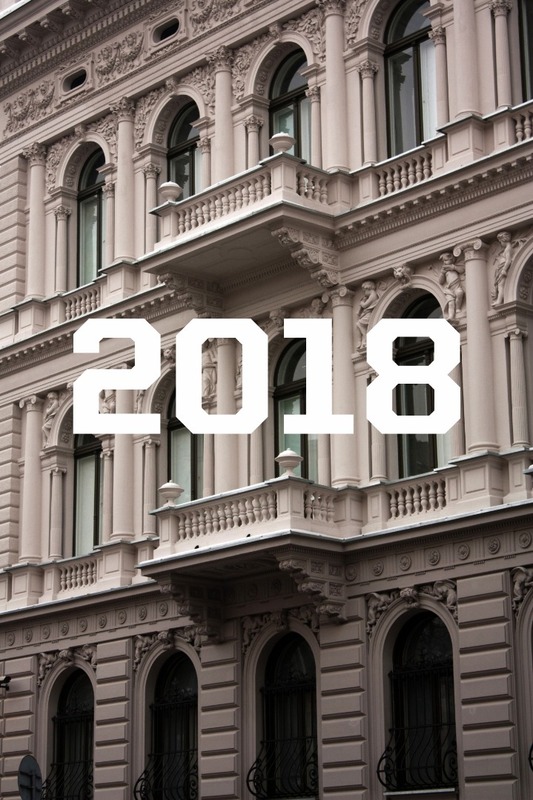 Last year, 2018, in the Muzeum Sztuki in Łódź was marked mainly by the continuation of the Year of the Avant-garde, for the organisation of which our institution was awarded with the Grand Prix and the main prize in the Art Exhibitions category in “Sybilla”, the most prominent museum competition in Poland. In 2018 an equally important component of the programme of the Muzeum was the promotion of the oeuvre of Katarzyna Kobro and Władysław Strzemiński abroad. There were also projects addressing perpetuated perceptions of the past and aimed at bringing back the memory of artists and phenomena that had been marginalised. Curators had to face questions about the nature of contemporary relationships between human beings and the rapidly changing world. Two exhibitions can be seen particularly clearly as a continuation of the series of exhibitions the Muzeum organised in 2017 as part of the celebrations of the 100th anniversary of the avant-garde in Poland motivated by the wish to present the legacy of this art movement from the contemporary perspective. By bringing up different issues, The Avant-Garde and the State and The Great War complemented each other and revealed the entanglements of the Polish and global art in the turbulent history of the previous century as well as the effects of transformations that took place at that time on the present balance of power, modern art or current humanistic reflection. The main focus of the exhibition titled The Avant-garde and the State was to present the changing attitude of avant-garde artists from Central Europe to the idea of the state, with special stress put on the Polish perspective. Its narrative covers two different political periods: the Second Republic of Poland and the Polish People’s Republic (Polish abbr. PRL) as well as subsequent development stages of the avant-garde movements: from classical modernism through modern art up to neo-avant-garde and “post-avant-garde” of the 1970s and 1980s. For art from our part of Europe, this is the first attempt ever to address the subject so broadly and against such a wide spectrum of aspects. Hence the exhibition offers the potential to open up a new interpretation perspective. The Avant-garde and the State is on show at ms1 until 27th January 2019. The Great War exhibition, in turn, discusses relations between modern art and the experience of war shown from different perspectives and highlights differences in how the Great War was depicted in Western European art and in the art of countries of Central and Eastern Europe. It demonstrates that artists from Western Europe focused on presenting war as a catastrophe while in the countries of our region it was predominantly seen through its outcomes, that is, in the light of regained independence or proletarian revolutions which it triggered. The exhibition, which will be on display at ms2 until 17th March 2019 invites the audience to reflect on these different approaches and their consequences for culture. Both exhibitions are accompanied by publications released in continuation of the publishing series devoted to the legacy of the avant-garde. This year “Awangarda” - the series initiated in 2017 as one of the projects intended to commemorate the one hundredth anniversary of the avant-gard in Poland - received, inter alia, two prestigious awards: one from “Literatura na Świecie” monthly in Editorial Initiatives category and an honourable mention in the European Design Awards competition in the Art Catalogues category. Design Observer declared it one of the 50 best designed publications globally in 2017. The year 2018 was also remarkable because of exhibitions organised in other countries with the intention to permanently introduce the oeuvre of Kobro and Strzemiński into the world-wide narrative of the 20th century art. Until 14th January 2019 at Centre Pompidou in Paris the public may visit the exhibition called Une avant-garde polonaise: Katarzyna Kobro et Władysław Strzemiński, the first monographic exhibition presenting the entirety of Kobro and Strzemiński’s oeuvre in the capital of historic avant-garde. This most probably would not have been attained without the monographic exhibition at the Museo Nacional Centro de Arte Reina Sofía in Madrid, Katarzyna Kobro and Władysław Strzemiński. Avant-garde Prototypes (2017) followed by this year exhibition at Moderna Museet Malmö, Kobro & Strzemiński: New Art in Turbulent Times. Both projects have brought the achievements of Kobro and Strzemiński closer to the attention of the Western public and paved the way for them at the ideological level: the notion of "realistic utopia" used in the narrative of the Paris exhibition to interpret the activities of both these artists develops the ideas triggered by the descriptor "prototype", which opened the previous presentation of Kobro and Strzemiński’s achievements. The exhibition at Centre Pompidou is accompanied by a catalogue published by the prestigious Skira publishing house. Together with such widely sketched and complex projects, the museum presented expositions organised around individual personalities or myths aimed to restore memory and demystify rather than reinterpret. The major themes of two exhibitions The Storming of the Winter Palace and Red Matter focus on issues resulting from the impact exerted by the Soviet Union. The project titled The Storming of the Winter Palace. Forensics of an Image was inspired by a photograph, which has become the symbol of the October Revolution although it does not present a historical event but its staged reconstruction. The exhibition investigates into this performance directed by Nikolai Evreinov in 1920, which in the official Soviet iconography replaced the real course of events. Together with results of research revealing the fakeness of the photograph, the exhibition presents works by six contemporary artists who engaged in a dialogue with Evreinov’s realisations, explores issues of history, memory, theatrical staging and the very up to date problem of fake news. The exhibition called Red Matter. Nadia Léger reveals the little known side of personality of the artist and a co-creator of the a.r. group collection. The presentation was a specific journey through historical and political contexts on both sides of the Iron Curtain in the 2nd half of the twentieth century, crucial for the transformations of the avant-garde movements and the work of Nadia – an artist forgotten for many years who has regained the place she deserves in the history of art also thanks to this exhibition at the ms. Even though proposed by different curators and organised in cooperation with different institutions, some exhibitions presented in 2018 raised the same fundamental question: who is a contemporary man and what are his relations with the world outside? Expositions, however diverse, encouraged us to think about a man as a metamorphic being, going beyond classical European dichotomies of nature vs. culture, object vs. subject, human vs. non-human, animate vs. inanimate or showing a human being as a point of intersection and an integral part of collective cultural structures. In Assemblages. Angela Melitopoulos and Maurizio Lazzarato - by making reference to the revolutionary psychiatric practice of Félix Guattari - showed multidimensional systems organising the co-existence of units with collectives, objects, animals, machines, and other diverse forces of the universe. Jimmy Durham’s exhibition God’s Children, God’s Poems presented a mythological dimension of the relationships between a human being and nature inscribed in the European culture creating a narrative about interspecies community going beyond the European dichotomies of human vs. non-human and deconstructing the principles of classification providing the foundations of cultural and ethnic authenticity. Shapeshifting: Eisenstein as a Method showed how the term used in the title manifested itself as Sergei Eisenstein method of creating and thinking. Shapeshifting became a key for understanding his work as a practice oriented around process. The space of the Peer-to-Peer. Collective Practices in New Art exhibition helped in introducing contemporary methods of collective work developed mostly by the young generation of artists founded on the idea of self-management, self-organisation, and networking which allow these collectives to engage themselves in current social problems and human rights movements world-wide. Two more exhibitions co-organised by the Muzeum abroad: Notes from the Underground – Alternative Art and Music in Eastern Europe 1968 – 1994 and Through the Soundproof Curtain. The Polish Radio Experimental Studio, focused on the culture-creating role of alternative or experimental music. Originally, Notes from the Underground were presented at the Muzeum Sztuki under the title Notes from the Underground. Alternative Art and Music in Eastern Europe 1968-1994. Its Berlin edition supplemented with the material originating from the GDR is organised around alternative music and art in Eastern and Western Europe after 1968. Through the Soundproof Curtain is the first such a broad presentation of the legacy of the Polish Radio Experimental Studio, a unique centre of electronic creation in the former Eastern Block. The exposition at the ZKM | Center for Art and Media Karlsruhe highlighting the interdisciplinary nature of the Studio by showing it as a centre of future-oriented audiovisual experiments will be on display until 6th January 2019. The 2018 was also a year when the Muzeum Sztuki made a powerful shift towards its re-defined openness to the engagement with the audiences by giving special attention to an unusually interactive project implemented at the Herbst Palace Museum. The exhibition How Do You See It? crowns the initiative which has actively involved visitors in the practices of the Muzeum: works on display and curators have been selected in a competitive online procedure. Outcomes of the decisions of the audience can be seen until March 2019. More openness has also emerged as the outcome of the physical reconstruction of the infrastructure at ms1, the headquarters of the Muzeum (building at Gdańska 43 and Studio Warehouse). As a result of the intervention, the Muzeum will be able to make the unique collection of its modern, specialist library available to the general public and invite the public to take part in an extended educational programme. One more remarkable effect of the investment is making the ms1 premises accessible to people with disabilities already in the early 2019. It was also the final year of a three-year programme Bardzo Młoda Kultura (Very Young Culture), in which Muzeum Sztuki was the leading operator in the region. The programme resulted in 28 projects (films, exhibitions, performances, local newsletters, etc.) and successfully engaged over five thousand participants and trained five hundred educators and animators of culture. By the end of the year, new perspectives opened up: a decision was made that in 2020 the Muzeum, in cooperation with NOMUS, a branch of the National Museum in Gdansk currently under construction, will organise the annual conference of the International Committee for Museums and Collections of Modern Art CIMAM , the world convention of museum experts of modern and contemporary art collections.